You can find it on my fork (MAVLink branch) here. And corresponding jevois core branch here (required for added functions in Serial core component, which have been submitted to upstream jevois repo). - Again this is work in progress and more clean-up is required before merging it to master, but thought of putting it here to let others know of it. Looks very nice! For those (like me) not familiar with mavlink, what are application scenarios for your module? Detect objects in JeVois and send their info to a drone controller? The widely used APM and PX4 stacks use MAVLink to communicate between sensors, autopilots and the ground control station. For example, there is a PX4Flow sensor that is used to maintain horizontal positioning in gps-denied environments. Jevois can potentially replicate that feature (perhaps faster, but it doesn't carry a gyro like px4flow), and as long as the mavlink messages are of the same definitions, the autopilot can pick up and use the readings right off the bat. You can also download QGroundControl and connect to jevois and be able to plot and log real time values. And as Patrick pointed out, you can have jevois be the more capable HL controller receiving sensor readings from an autopilot and sending position commands back. I plan to use it for my research: underwater pose estimation and HL navigator. Will see how that goes. This is my testing setup, using the RaspberryPI as the serial to mavlink gateway. SITL is a fully compliant Ardupilot Simulator, so it is configure to run precision Loiter and Landing. I can takeoff and control the fly direction by moving the Red Ball on front of camera. The simulator also output Mavlink to UDP so that the computer at the right that is running the Analyse Widget from QGroundControl. 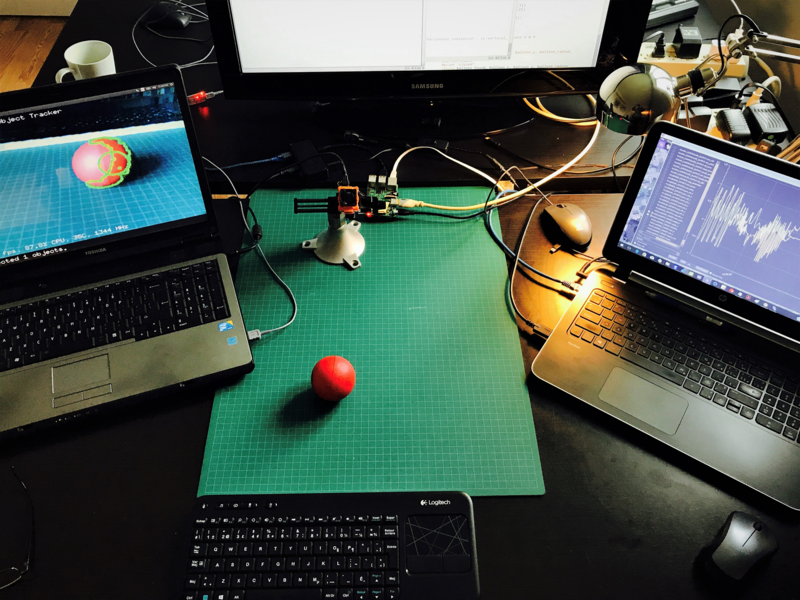 It is reading the Landing Target x & y message and graph the Red Ball movement being detected by JeVois. Next step, is obviously to use the Mavlink Module and discarding the RaspBerry Pi. Great! The component should be setup to do just that. Let me know how it goes. Keep us updated. looks like the Serial.C changes have been merged in to master, which is great.